Photograph with a distinct curve. 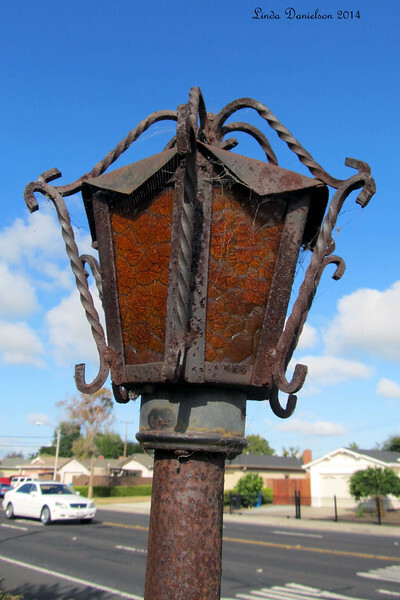 As I pondered this topic, I was out for a walk, and saw this rusty lamp post in Santa Clara, CA .... I like it!